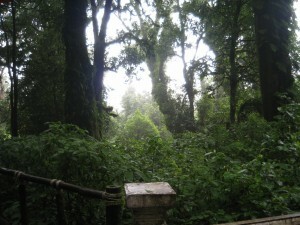 Doi Inthanon ดอยอินทนนท์ is located in Chom Tong district not far away from Chiang Mai. 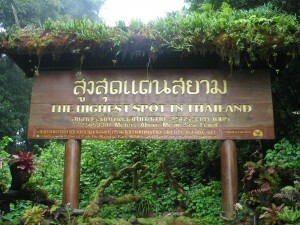 It is the highest peak in Thailand. If you go there, please bring along a jacket/long scarf as it can be very cold, especially in the months of July to January. Don’t go there in shorts- else you might feel so cold that you cannot walk. From the base, you can rent a truck taxi up- I am not sure if it is a requirement but even if you rent a van, the driver may not want to drive up because the road is steep and winding. 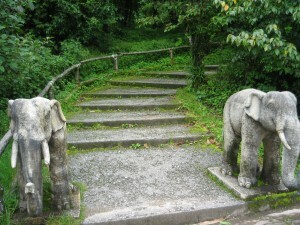 The stairs climbing starts here. 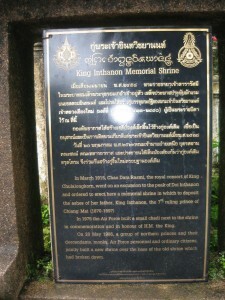 In March 1915, Chao Dara Rami, the royal consort of King Chulalungkorn, went on an excursion to the peak of Doi Ithanon and ordered to erect here a memorial shrine in which to deposit the ashes of her father, King Inthanon, the 7th ruling prince of Chiang Mai (1870-1897). In 1975 the Air Force built a small chedi next to the shrine in commemoration and in honor of H.M. the King. 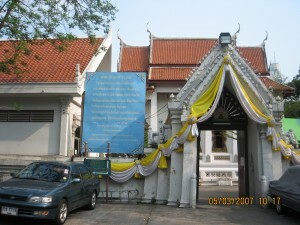 On 20 May 1986, a group of northern princes and their descendants, monks, Air Force personnel and ordinary citizens jointly built a new shrine over the base of the old shrine which had broken down. 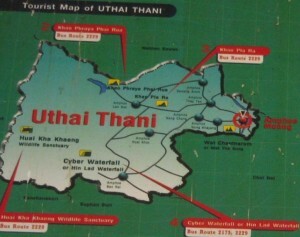 You will see tracks like this along the way, after passing the highest peak signboard (the first picture in this page). 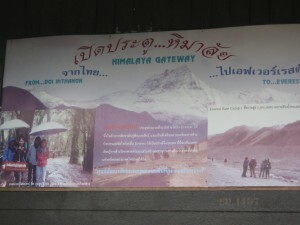 Then you will arrive near a cabin, where you will see a signboard offering tours to the Himalaya. 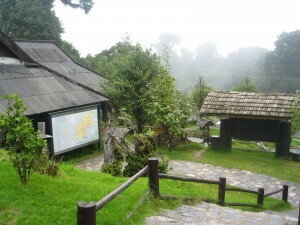 From here, the washroom is nearby and there is hot drinks- coffee or tea being served. Business is brisk especially during cold weather. As for the washroom, the last time I went in December 08, the washroom is under construction- so only one room for ladies (and you know how ladies always go to the washroom). You may want to visit the place before 3pm because there is another twin chedi located on the way up the peak which you can visit. 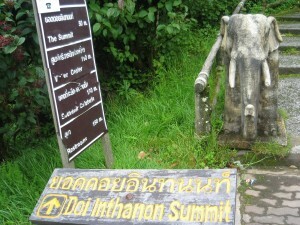 If you visit Doi Inthanon late, you will not have sufficient time to visit the twin chedis- constructed one for the King and another for the Queen as the place closes at 5pm or 6pm. 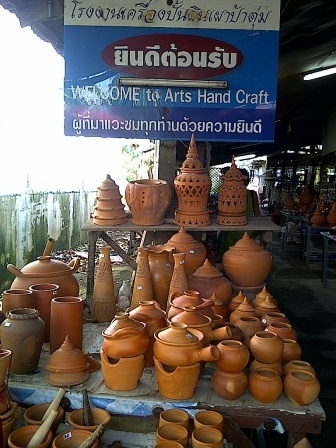 I strongly recommend the Twin Chedis as it is a really blessed place that you should go and pay for respects and make aspirations…. 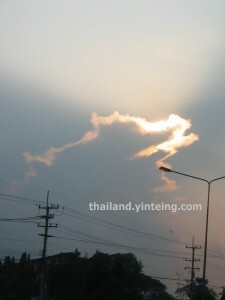 don’t miss it since you already made it all the way to Doi Inthanon.